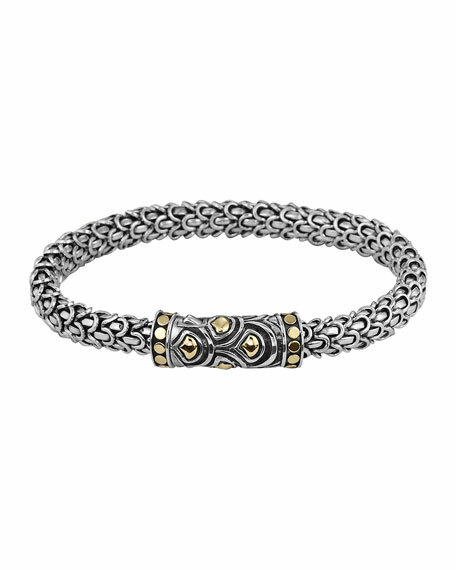 The signature dragon-scale construction of the Naga Collection is elevated by polished gold accents for the kind of studied elegance that you love about a John Hardy bracelet. Center station features oversized scale pattern and 18-karat gold accents. For in-store inquiries, use sku #152403.